If you’re a regular around here, you know that we moved from our South Carolina brick ranch into a quaint gray home in the hills of East Tennessee in December. I was determined to figure out what our new home’s style was and work with the natural light and our current furniture to come up with a cohesive vibe that flowed throughout each room. I went to my Instagram feed and started saving all of the posts that stuck out to me, and four accounts kept going into the “save pile”. These are must-follow account for any home design/décor lover! I’ve been working non-stop during naptime and after bedtime to instill these style elements into our new home. My husband and I painted most walls on the main floor upstairs Polar Bear by Behr to bring in lots of fresh light. The downstairs living space got a fresh coat of Sherwin Williams’ Greek Villa since our new sectional is more off white and the carpet and fireplace have warmer tones. The office/front room warms up the upstairs with Wintersweet Gray by Sherwin Williams. The downstairs bath/laundry received a beautiful punch of color, Brooklyn by Behr, and the two sets of French doors cozies up both living areas with a warm brown/black, Black Beauty by Behr. 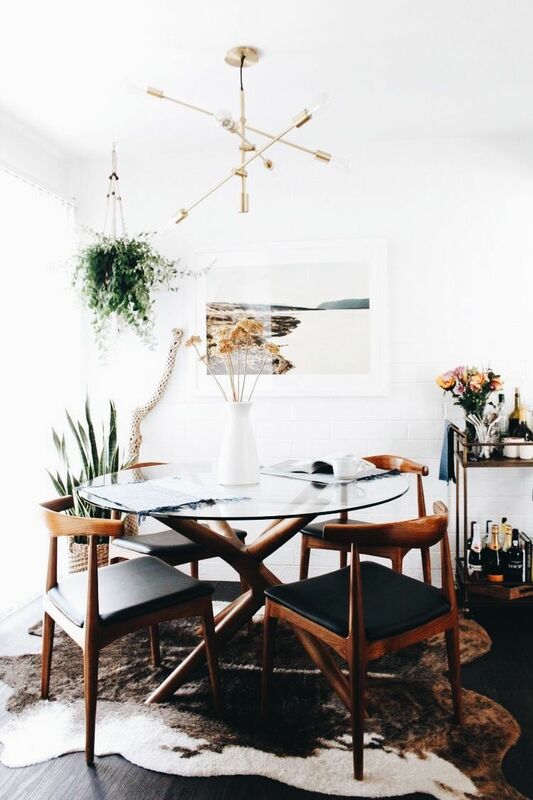 Follow along as I turn our quaint Tennessee charmer into a cozy, modern bohemian oasis. I’m excited to share our journey of making this new home our own through thrifted finds and budget-friendly design choices. Make sure to follow my Instagram and Facebook so that you can see coming posts and current projects. I am going to love seeing you pull it all together! What a smart idea! I love those accounts too. I had never thought to combine inspiration sources and colors and pieces to get a visual snapshot of my style!